In medium bowl, beat cream cheese and marshmallow creme with electric mixer on medium speed about 1 minute or until smooth and creamy. 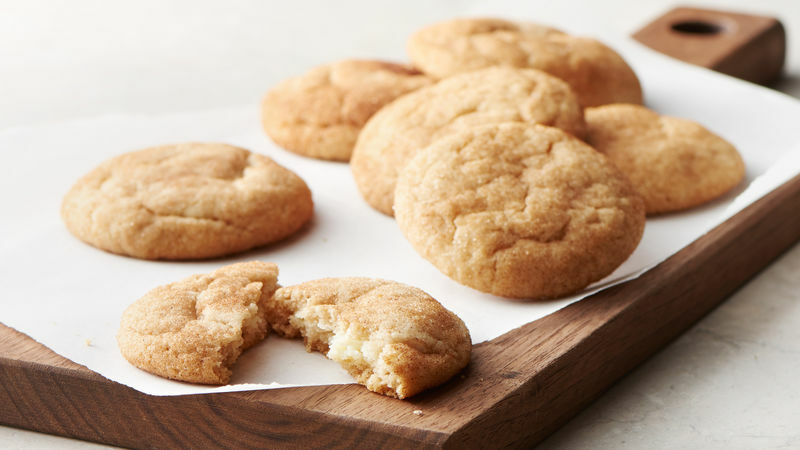 Drop 24 rounded teaspoonfuls cream cheese mixture on cookie sheet. Freeze 1 hour. In medium bowl, crumble cookie dough; stir or knead in flour and 1/2 teaspoon of the cinnamon until well mixed. 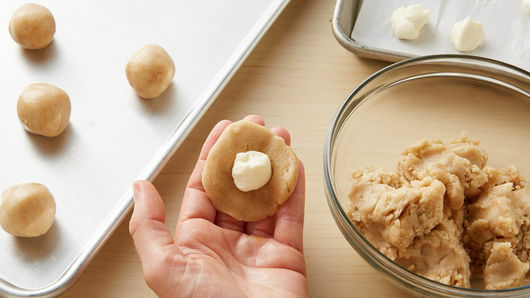 Shape 1 rounded tablespoonful dough around each frozen cream cheese mixture piece, making sure cream cheese is completely covered. In small bowl, stir remaining 1 teaspoon cinnamon and the sugar until well mixed. 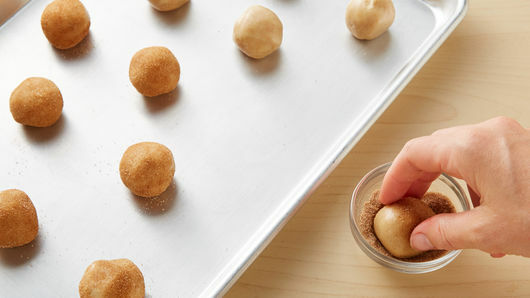 Roll each ball in cinnamon-sugar mixture. Place balls 2 inches apart on ungreased cookie sheet. Bake 11 to 14 minutes or until edges are golden brown. Cool 2 minutes; remove from cookie sheet to cooling racks. Cool completely, about 30 minutes. Cream cheese should be at room temperature for ease in scooping. If it is too soft, it will stick to your scoop or spoon. Want to save time? 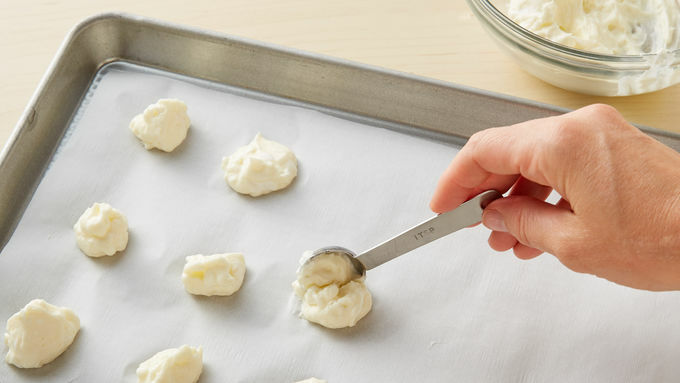 Use a 1-teaspoon scoop to drop the cream cheese mixture onto cookie sheet.